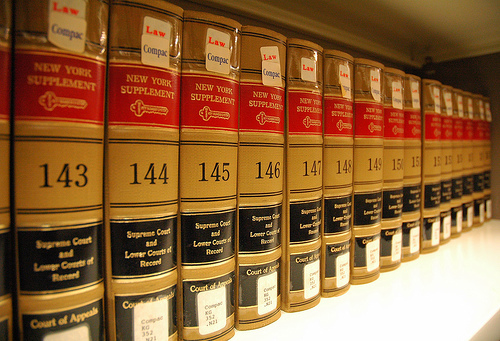 The Urban Politico: So You Want to Go to Law School? Last week, a California woman sued the law school that she recently graduated from when, despite taking out over $150,000 in student loans and graduating at the top of her class, she still remains among the thousands of law school grads in America who are unemployed with 6-figure student loan debt. Sounds crazy right? Even though I do not believe that graduating with good grades entitles anybody to a job, I can't say that I'm too mad at her. You see, it used to go like this: go to law school, study hard, pass the bar, get the big firm job, live happily ever after. The end. Indeed, there was a time when a license to practice law was jokingly referred to as "a license to print money." Consistent with that perception, many moms and dads lovingly encourage their children to aspire to become "doctors and lawyers and such," assuming that inclusion among the legal profession all but assures that their child will ascend into the upper echelon of the American Dream. Ladies and gentlemen, despite how green the grass looks from the outside, I am here to tell you today that such assumptions simply are not reality for the majority of the 40,000 graduates cranked out of America's law schools each year. Search the attorney profiles of any big law firm in the country and you will invariably find countless alumni from the "T-14" amongst its ranks. If you were among the few lucky bastards who got accepted into one of these 14 schools, the conventional wisdom prior to the recession was that your future was effectively secured. These 14 schools open up doors, provide invaluable networks, and give their graduates the proverbial back-stage pass into our society's most coveted positions in big business, Congress, the Supreme Court, and, yes, even the Presidency. But as you may have already noticed by now, we're only talking about 14 schools. So what about the rest of the 200+ schools? The answer may shock you. If you got accepted into one of the other 86 schools in the so-called "top-tier" (in other words, the schools ranked 15 through 100) and you made the Law Review (one of the highest academic honors that a law student can achieve; basically means you were in the top 10% of your class) or did Moot Court (another academic honor) then, prior to the recession, you probably managed to do ok for yourself. If, on the other hand, you were not among the top 10 to 25% of your class at one of these 86 schools, then your outcome may not have been as rosy. If you got accepted into one of the so-called third or fourth-tier law schools, however, the sad reality is that, even before the recession hit, the majority of graduates from these schools were not finding legal jobs after graduation. Even if they made Law Review. And for those who did, they got the lower paying legal jobs (the public defender, city/county prosecutor, ambulance chasing personal injury firm, etc.) that typically pay no more than $30,000/yr even in larger metropolitan markets. Just so we're clear, I mean no disrespect to any of our readers earning $30,000/yr or less. $30,000/yr is a respectable wage but please understand the context in which we're speaking of that wage here; we're talking about somebody who already graduated from college, then went back for a law degree, went into 6-figure student loan debt for said law degree1, passed the bar exam (which is, without a doubt, the most difficult academic challenge I've ever faced in my entire life), and after having done all of that, they're being paid LESS than most college grads. In other words, they would have been better off financially if they had never gone to law school at all. Many people are surprised to learn that this is the reality for the majority of law school grads. But as Morpheus told Neo after giving him the red pill, "I didn't say it would be easy, I only said it would be the truth." I wanted to briefly touch on the unique experience of Black law students. The first thing to note is that there are roughly 1 million attorneys practicing law in America, and of that 1 million only 3% (roughly 30,000) are Black. As most of you know, the Black community constitutes approximately 12% of the U.S. population, thus, by that metric, we are severely underrepresented within the legal profession. The second thing to note is that law school is one of those educational environments where you will likely be the only Black person in the classroom while your White classmates boldly articulate in great intellectual detail why certain criminal procedure laws against Black people are necessary or why Affirmative Action for Blacks is unconstitutional. In other words, you will be challenged daily on an intellectual, emotional, spiritual and professional level. Despite these challenges, I would encourage any Black student who is genuinely interested in the law to consider law school (provided they have considered the financial risks discussed herein, of course) simply because Black lawyers are desperately needed in the community. There are many legal issues facing the Black community (the prison industrial complex, public educational system, Black consumer protection, etc.) that demand that we have a seat at the table when these issues are being decided. I graduated from a "Top-Tier" law school in 2007 at the height of the job market. My fellow Law Review classmates and I had job offers falling out of our pockets. Even students who didn't make Law Review still had job offers to choose from. There were still a few kids here or there who were struggling to find employment, but for the most part everybody was eating. Well. 40,000 law students graduated that year, and of those 40,000, nearly 10,000 walked into jobs at big law firms making the big bucks. Upon graduation, I passed the New York and New Jersey bar exams and walked right into one of those cushy Manhattan law firm gigs making the market-rate 6-figure salary plus bonuses and perks. Ironically, one of my first practice groups dealt in sub-primed mortgage backed securities...we were handling Kryptonite and didn't even know it. On September 15, 2008, I walked into my office like any other day, sat down at my desk and opened up the Wall Street Journal. Above the fold was an article about the collapse of Lehman Brothers which, incidentally, was one of our clients. I opened up the paper and saw another article that I'll never forget to this day - it said that my law firm (and several others like it) was also facing collapse just like many of the Wall Street clients we had serviced. 1 month later, the entire firm of 5,000 employees was forced to close its doors. At the time of my firm's dissolution it was 120 years old and had offices from Europe to Asia. The following week, another large law firm collapsed. And then another. And then another. By the time the layoffs hit rock bottom in March of 2009, we had become numb to the news that another couple thousand attorneys had been laid off. Nobody was safe. In 2009 alone, over 12,000 law firm associates were laid off. 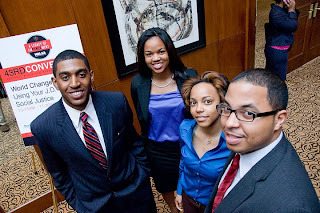 Students from the class of 2009 literally had their job offers rescinded by law firms who could no longer afford to take them on. Many students from the class of 2010 never received job offers at all. Even if they graduated from the T-14. In fact, a report just came out last week that only 68.4% of the class of 2010 actually have jobs in the legal profession. It is the lowest number ever reported in the history of the NALP which has been reporting on statistics like these for decades. My point is this: this recession has effected all Americans. So contrary to popular belief, the legal profession was certainly no exception to that rule. 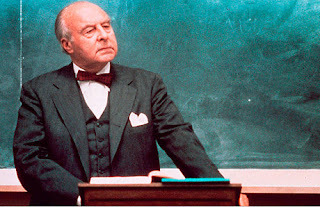 At the heart of the problem for America's legal educational system are three things: (i) a never-ending supply of 22-year-olds who continue to flood the law school arena assuming that they will be among the few chosen to ascend to the pearly gates of employment in Biglaw; (ii) a disingenuous attempt by law schools to fudge their numbers in order to climb up in the rankings; and (iii) there are simply too many law schools charging the same tuition as the T-14 despite the fact that they are unable to offer the same opportunities. My recommendations are simple. Assuming that we will probably never be able to eliminate the onslaught of 22-year-old college grads who continue to believe that the grass is greener in law school no matter how many facts we cite to the contrary, the solutions lie with the law schools themselves. Specifically, some of these third and fourth-tier law schools need to be shut down. Especially the ones charging Harvard-level tuition. 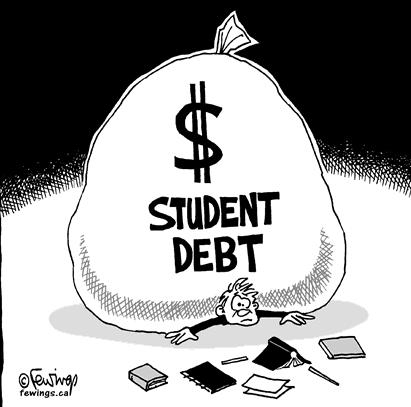 These so-called "lower tiered" law schools force students to go into 6-figure debt but fail to provide students with the job placement or networking benefits that are regularly enjoyed by students who attend the more prestigious law schools. In addition, we need to do away with the U.S. News and World Report's ranking system. Sure, others may spring up in its place, but the system has corrupted too many law schools to lie, cheat and steal their way to higher rankings (indeed, the California lady I mentioned at the beginning of this article sued her school because the school boasted an inflated employment % in an attempt to raise itself up in the rankings). Lastly, keep law school as a 3-year degree but change the last year to require that students must engage in an apprenticeship with an attorney actually learning the practice of law. 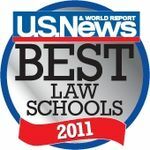 This will not only increase the competencey of lawyers in America, but it may also help discourage some of the 22-year-olds from entering who mistakenly believe that law school is a quick and easy 3-year path to riches. Americans want to believe that "I may not be rich now but someday I'm going to be." Many people, applying this American Dream logic, want to believe that law school is the golden Willie Wonka ticket to a better life. And as we've discussed above, it can be, but only for a select few. Hopefully now that I've pulled back the curtain you are able to see through the smoke and mirrors of the legal profession's prestige. Don't get me wrong, if you have a genuine interest in the law and actually want to practice law, then you should definitely go to law school provided you can afford it. Learning how to "think like a lawyer" is an invaluable problem solving skill set that can help you in all aspects of life, whether you're trying to figure out if a cop has the right to look in your glove box after pulling you over or whether you're planning to start your own business. However, if you majored in basket weaving during college and just need something to do for 3 years, or if you think that everybody who goes to law school automatically comes out making the big bucks, then law school is probably not a wise investment for you. Either way, I wish you good luck.